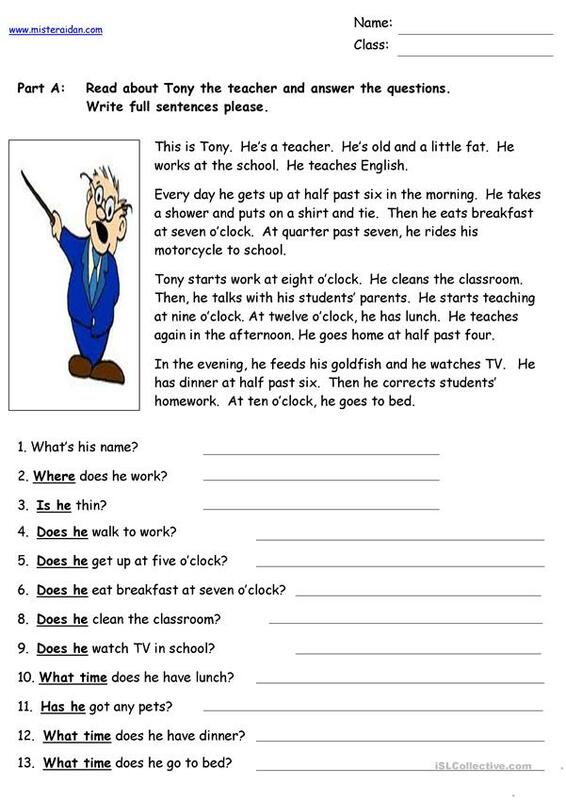 A short reading comprehension in the present simple tense about the daily routine of a teacher. Suitable for beginners and low level Elementary learners. Check out the ohers in the series: Sharon the Chef, Paul the Policeman, Fred the Fireman, Nelly the Nurse and Nino the Waiter. The present printable, downloadable handout is best suited for high school students and elementary school students at Beginner (pre-A1) and Elementary (A1) level. It is great for practising Present simple tense in English, and is useful for honing your class' Reading and Writing skills. It focuses on the theme of Daily routines.